The Chronic Lymphocytic Leukemia Research and Treatment Program has become a landmark for CLL patients worldwide. 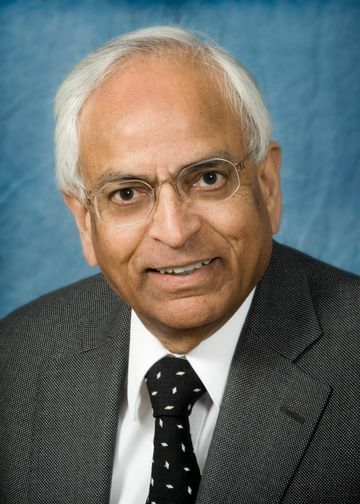 Dr. Rai has been involved in diagnosing and treating CLL for almost 40 years and the staging system that bears his name came out of his early breakthrough research. He has been collaborating with Nicholas Chiorazzi, MD, and other CLL scientists at the Feinstein Institutes for years and their shared commitment has made its mark in the field. Many of the important aspects of research, currently underway on CLL globally are based on discoveries at the Feinstein Institutes. Because of its laboratory and clinical strengths, patients come for treatment in the program and are invited to participate in research at every level. There are basic science studies through Dr. Nicholas Chiorazzi’s lab and almost a dozen clinical trials through the CLL clinical program. Patients are eager to participate in the research underway because they know that it is the only way that scientists will arrive at answers that will ultimately drive towards an effective treatment for CLL. It’s translational science at its best. If clinicians see a pattern in their patients it will be brought back to the lab for further scrutiny. It is critical to understand the disease so that it can lead to better treatments. CLL is the most common leukemia in the Western world. From basic research to studies which are complemented through collaboration with other groups of scientists such as CLL Research Consortium and the Cancer and Leukemia Group B (CALGB), the CLL program at the Feinstein Institutes and Northwell Health has helped all patients with CLL.